Making a career in the Digital Media industry requires a complex set of talents, drawing on a range of skills encompassing science and technology and art and design. Digital Media includes everything from virtual and augmented reality to digital entertainment and games to e-learning. It also includes data visualization, interactive storytelling, mobile applications and digital healthcare. All of these fields require both technical skills (‘hard’ skills) such as programming, design and animation; and nontechnical skills (‘soft’ skills) such as team building, goal setting and project management. Given this unique nature of the industry, it is important that certain necessary skills are not overlooked. When The Centre for Digital Media established their Master of Digital Media program in 2006, they worked closely with the digital media industry to identify skill gaps in the workforce and tailored the contents of their MDM program to prepare students to fill these gaps. The following 6 skills are key success factors identified by the Centre for Digital Media for people entering the digital media workforce as necessary for people who want to advance their digital media careers. These are the skills that are taught in the Master of Digital Media as an approach to building, managing and leading digital media projects. Understanding the design process is important for everyone on a digital media team. Whether you’re the project manager, programmer or designer, it’s important to know concepts like pipeline creation, rapid prototyping and ideation. Understanding the entire process will allow you to manage your role on the team and empathize with your team members – crucial for a cohesive, effective team. Being self-aware of your own work and role on a digital media project is essential. Knowing how to set your own goals, being able to self-reflect, and document your work means that you understand your strengths and weaknesses, and can play to your assets while working on improving areas where you’re not as strong. Time management is important for any industry, but especially one as fast-paced as digital media. Being able to scope a project, set measurable goals and follow a pipeline can be the difference between missing a deadline and shipping on time. The ability to articulate your ideas – to your team, your bosses and your clients – is an incredibly important skill. The ability to pitch your ideas clearly and concisely, understanding good body language and the ability to express your ideas in both written and spoken form means that your ideas will be heard and respected. Understand the digital media landscape and thinking broadly in terms of where it is going is another key success factor. Knowing creative rights so that you’re not breaking copyright law, understanding where the industry and technology is headed and who your competition is – all of this will put you way above your peers. Teamwork is the most important skill you can bring to the table in the digital media industry. Being able to listen to others, trust fellow team members, resolve conflicts, and manage roles and responsibilities is crucial to the success of any team project. Read more about the Centre for Digital Media here. 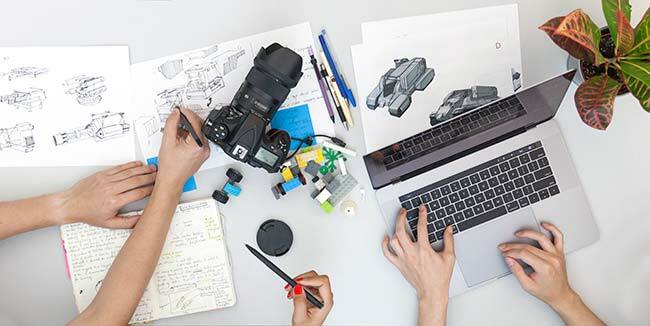 Interested in learning more about how the Master of Digital Media program teaches these skills? 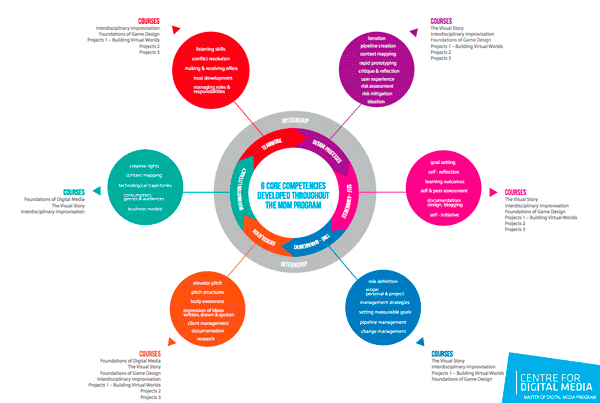 Check out the MDM Core Competencies or get in touch with the Student Recruitment Coordinator at the Centre for Digital Media.